Drivers should use extreme caution during the morning commute across the state as many highways remain wet due to ongoing precipitation and slick conditions may continue to develop, especially on bridges and overpasses until temperatures remain above freezing. Oklahoma Department of Transportation crews continue to treat highways and shoulders as needed this morning to address slick spots. Motorists are encouraged to check driving conditions on www.okroads.org, which features the department’s new snow plow cameras. Camera views for the Oklahoma City and Tulsa metro areas are available at www.oktraffic.org. Both websites may be accessed via ODOT’s new mobile app for iPhones. • Stay at least 200 feet behind road clearing equipment; crews need room to maneuver and can engage plowing or spreading materials without notice. • Allow extra space between vehicles to provide adequate distance for braking. 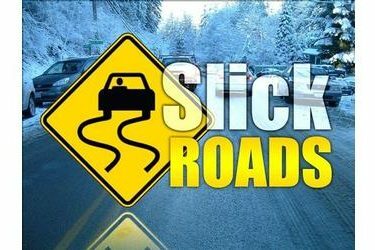 • Be aware of “black ice,” which looks wet on the roadway but is a thin layer of ice. • Be patient, plan trips ahead and allow extra time in reaching destinations.